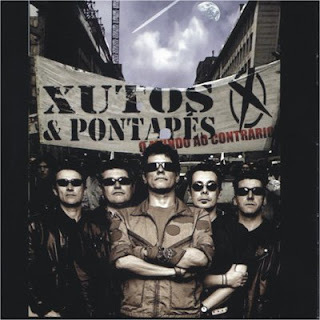 My favourite group is Xutos & Pontapés. Xutos formed their band in 1978. Their first concert was on 13th January 1979. I like them because they marked, they still mark and they will keep on marking generations. Their music has great instrumentals and beautiful lyrics. There are a lot of groups, but Xutos are the best. Xutos are at the same level of the Queen, Beatles and Rolling Stones. Their big hits are: A Minha Casinha; À Minha Maneira; Quem é Quem. In 2009 Xutos celebrated 30 years.